Please note that information presented is from a larger data mining study and represents state averages. 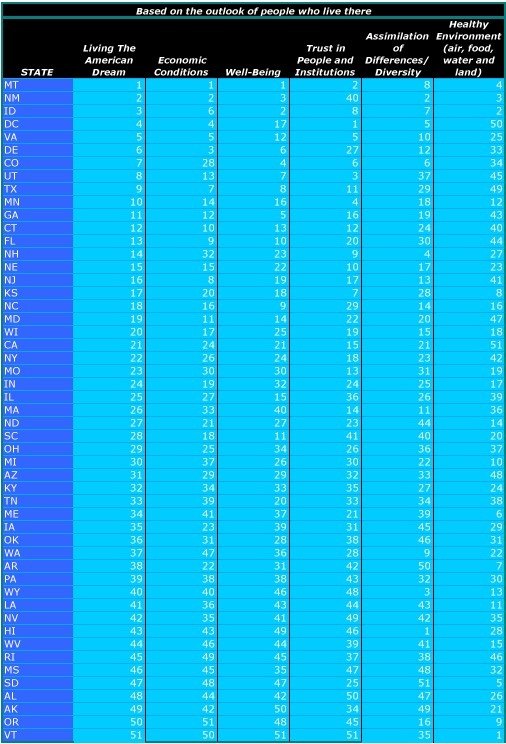 Data for each state has been collected over a 12-month period from January 2012 through December 2012 with no repeat respondents. Every effort has been made to be consistent with the sampling methodology of the ADCI. The results are presented as a simple ordinal ranking. The interval between two consecutive items is not necessarily equal to the interval between two other consecutive items. 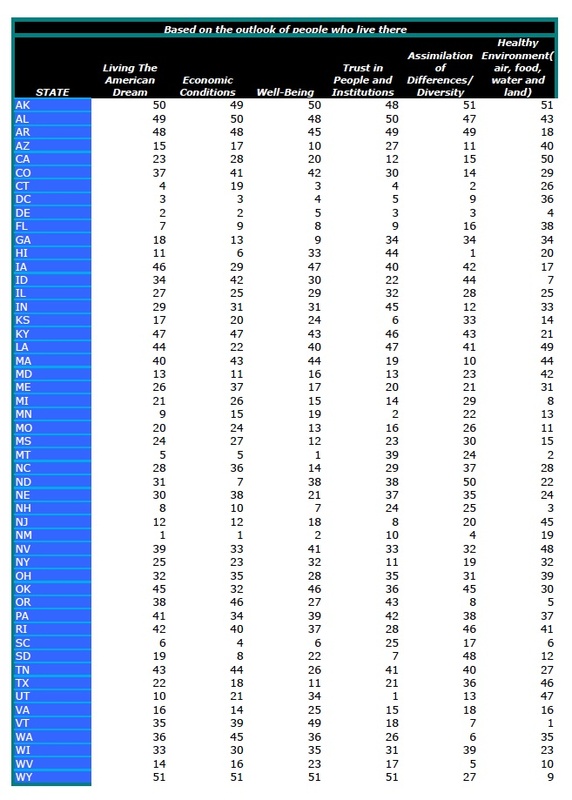 The data reflects the outlook of people living in each state. Reasons why people responded as they did cannot be determined from these data.